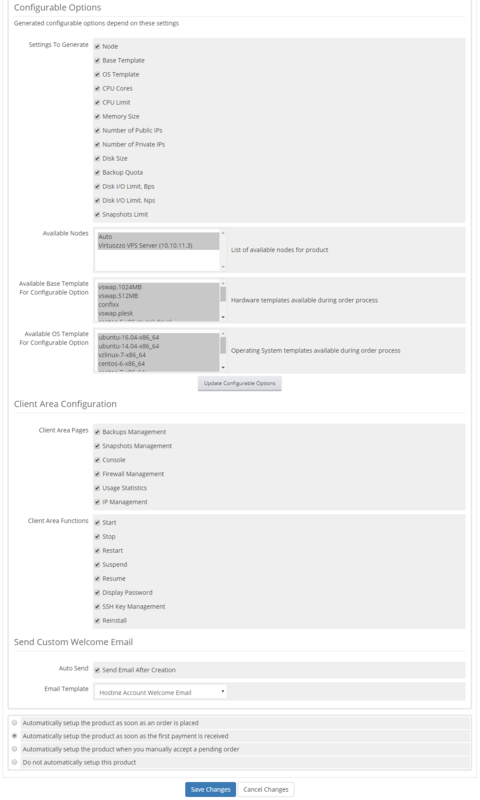 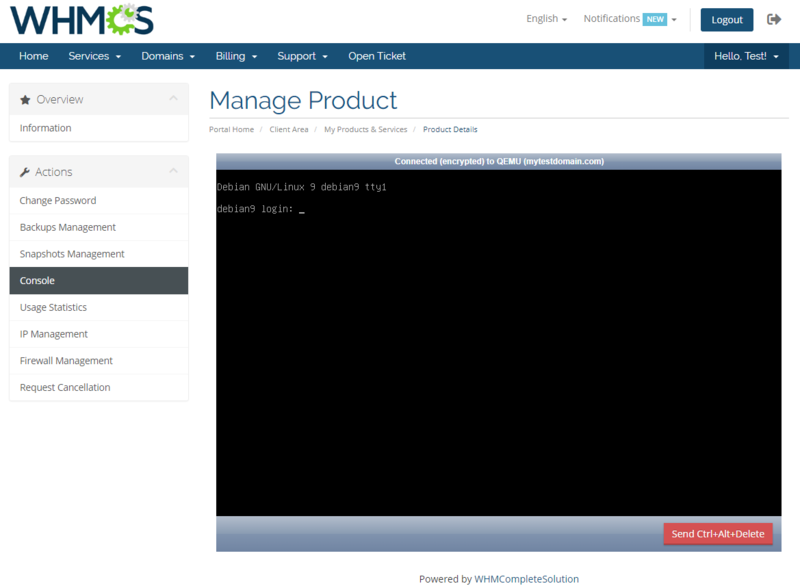 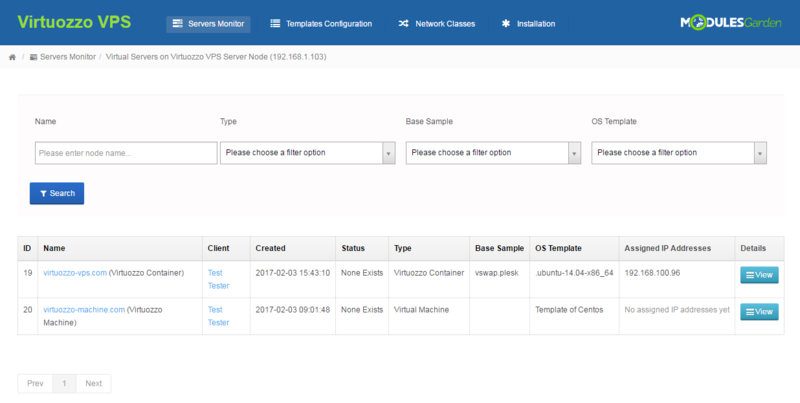 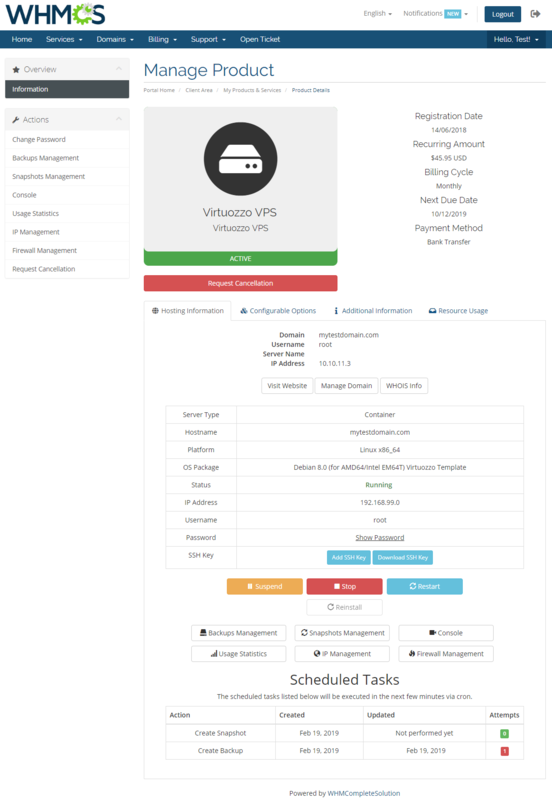 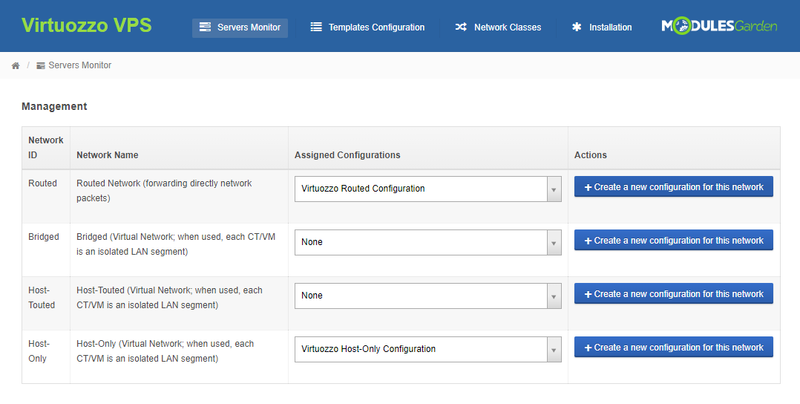 Virtuozzo VPS For WHMCS is an inventive module that brings automatic provisioning and remote handling of Virtuozzo servers right into your WHMCS. 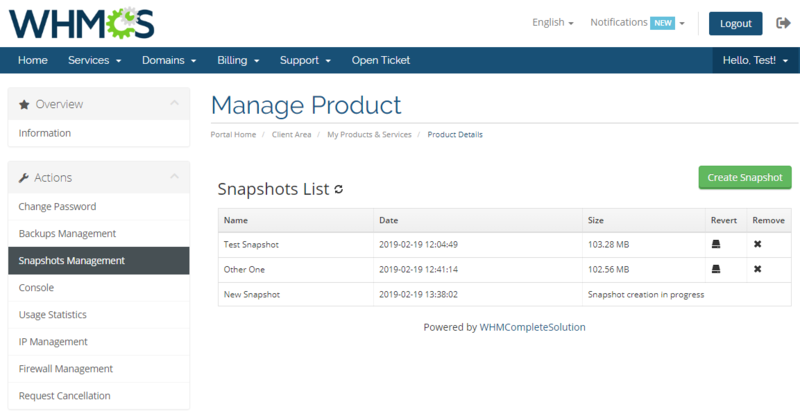 With it, you will not only easily create and deliver all-ready products to your clients, but also view and manage the existing virtual machines and nodes thanks to the inbuilt Servers Monitor component. 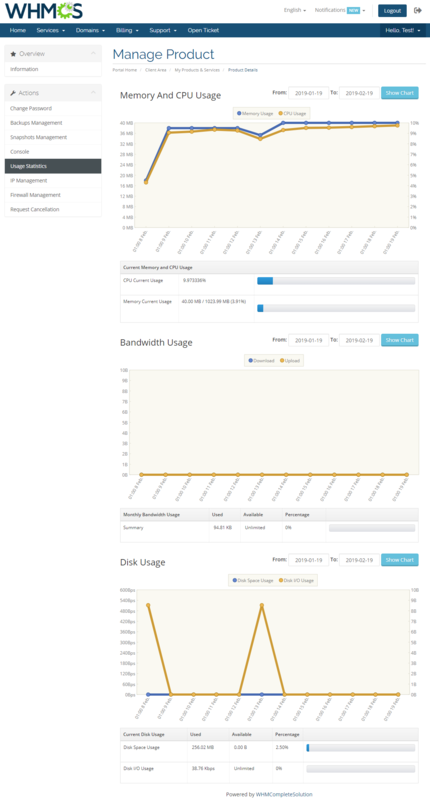 From now on, your admin area will be equipped with every tool that is essential to oversee the offered servers. 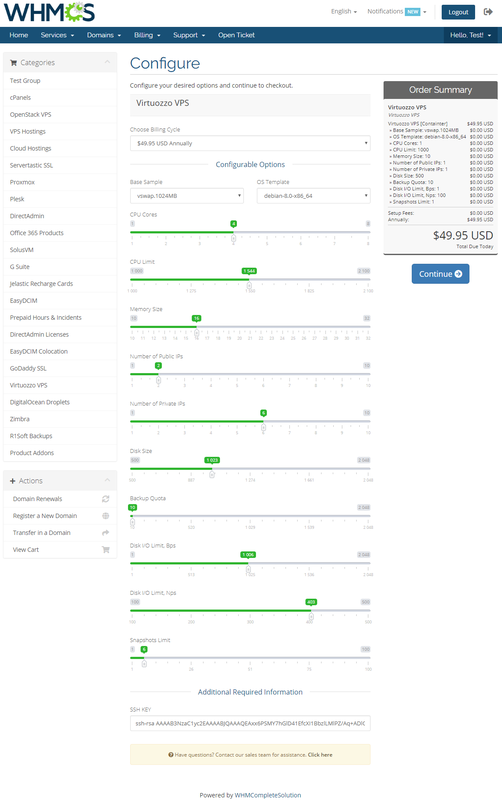 At the same time, your customers will appreciate a great many means to conveniently manage their products without leaving your website. 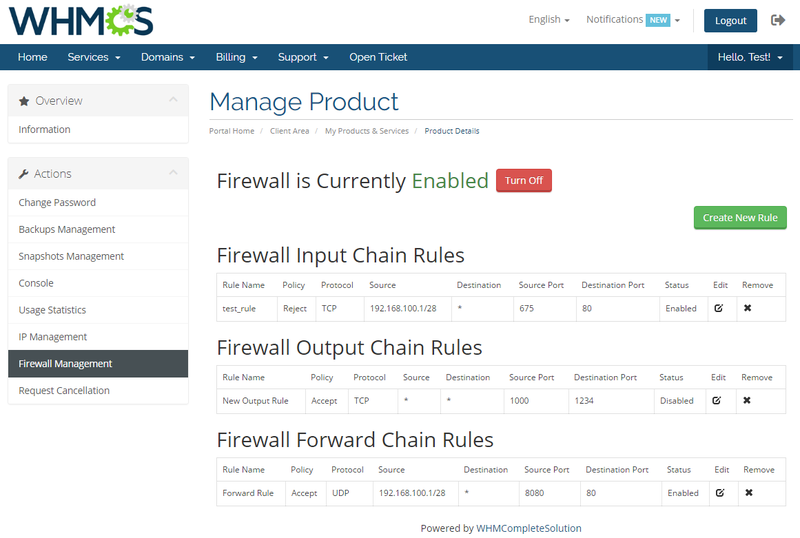 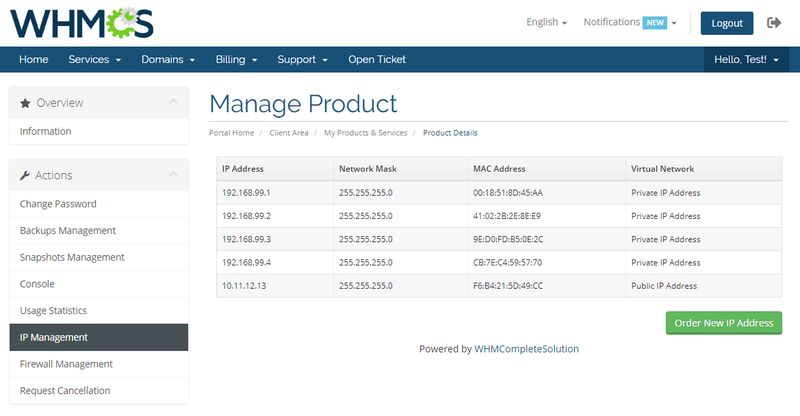 They will be empowered to control backups, snapshots, firewall, usage statistics, IP addresses, as well as access the noVNC console. 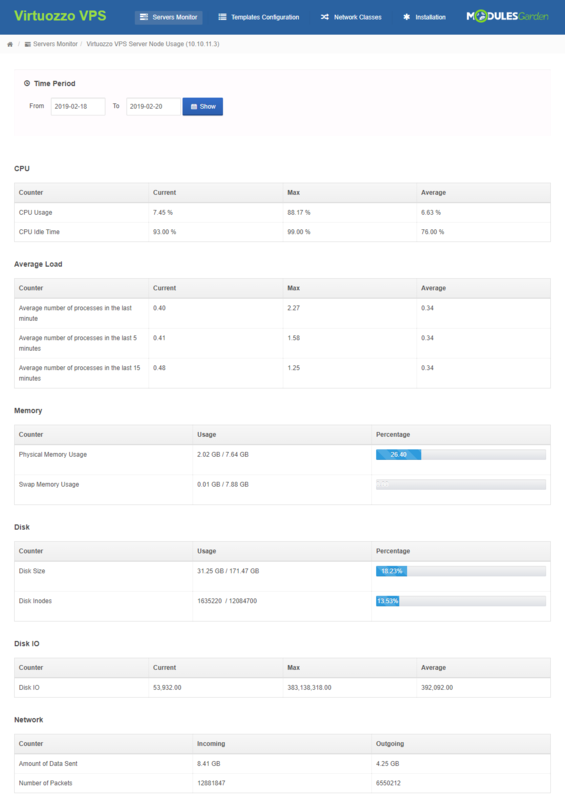 Jump at the chance to increase the competitiveness of your services, and give a titanic boost to your clients' satisfaction. 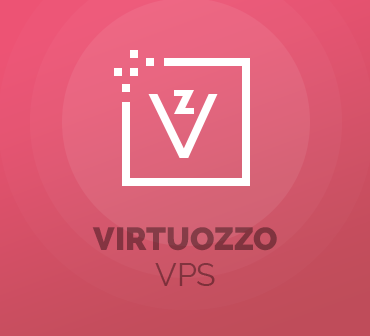 Order Virtuozzo VPS For WHMCS today and take full advantage of its innovation to scale up your business potential every day! 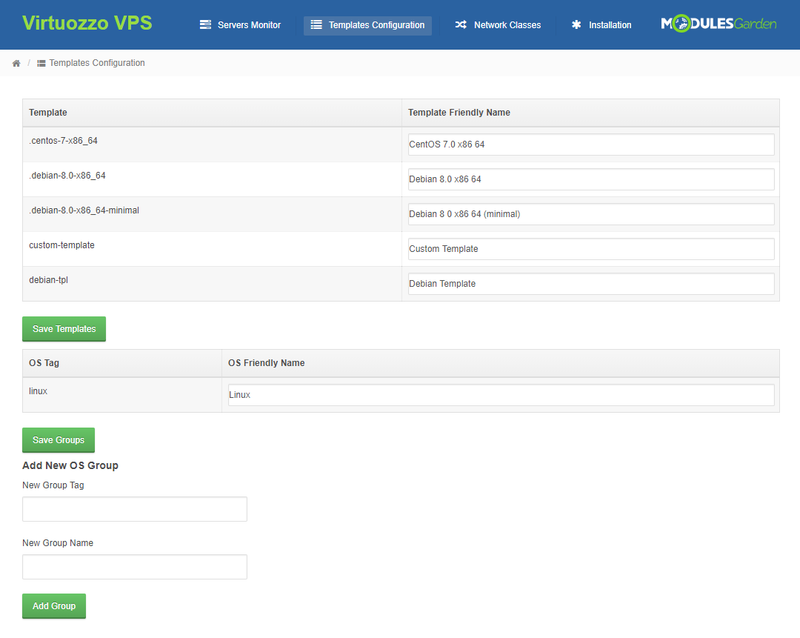 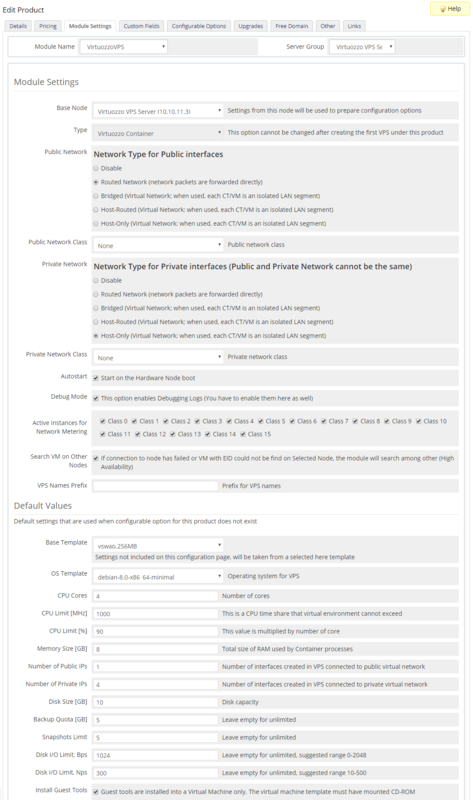 Switched over from a competitor hosting automation system (now dead) in which Virtuozzo was in use, and this allowed that to continue without issue. 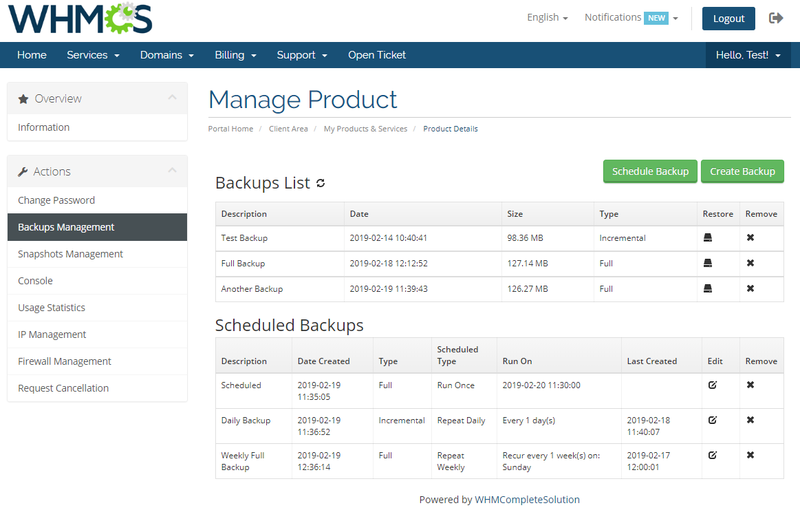 Automate the reselling of various TLDs, enable your customers to manage domains, nameservers and DNS records remotely and configure notifications on transfer requests.